Since I was small child, springtime has always been a celebration of life. This I found especially true in the South where tulips, irises, and lilies make their way early on through winter’s barren landscape. And always so anxious to see this sight, I all too neglected to stop and befittingly reflect on the season left behind. Easter too, as a young Southern Baptist, also entailed this liturgically forward press towards life. 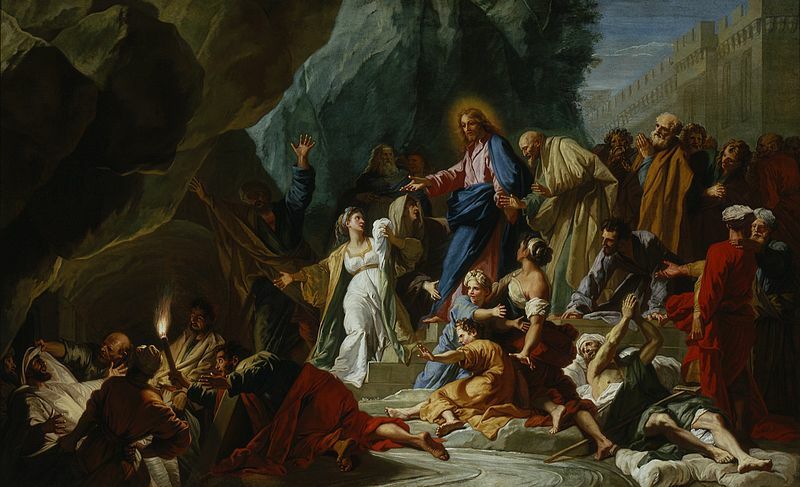 Though perhaps not intentionally, it had become for many a celebration of the risen Christ, without the full look back at the steps that had brought us there. 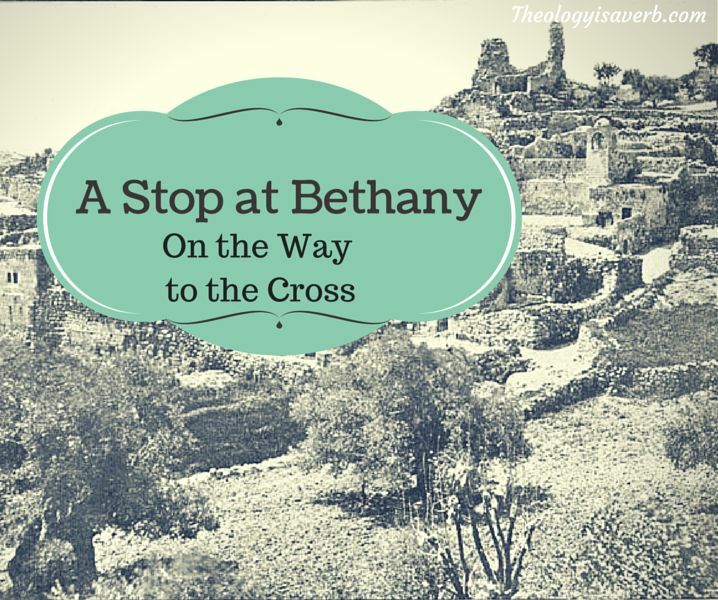 Amidst the shopping for the perfect Easter dress, coloring eggs, and the plan for dinner there were ample days left bereft of the journey our savior walked. While these same observations could be made of any of us at a given time, there is within the Catholic faith the graced gift and provision of Holy Week that allows us to enter in. It is the invitation to enter into not only the celebration of life but also into the sacred mystery of Christ’s death. From the swaying of branches and cheers of “Hosanna!” on Palm Sunday to Easter we are beckoned to walk beside, and accompany Jesus on the journey ahead. From humble students of the suffering servant and participants in the first Eucharist, we are summoned to share in his anguish in the garden and keep watch. For, the enemies are pressing in and the time draws near when His sacrifice will be for all the world to see. This incomparable spotless lamb, this gift of a Father’s love given so that we may come to know what love truly is, entreats our response. For, how can we ever truly comprehend or appreciate our redemption if we deny ourselves this time with Jesus on the way to the cross? Or the repose with Mary and John at the sight of God’s only son, crucified and suspended by the weight of the world? To do so is a privilege, one bought and paid for over two thousand centuries ago, and yet a sacred journey that we are each year implored to once again enter into. Today as an adult, I not only joyously await the liveliness and celebration of Easter but indeed Holy Week itself. In fact, I have come to truly cherish the quiet time spent in church in anticipation before each Triduum Mass. Here I mentally walk through each liturgical motion and its significance as I pause to consider the sacrifice of our Lord and Savior. Such a incredible faith tradition we have where Christ’s presence can so fully be experienced! 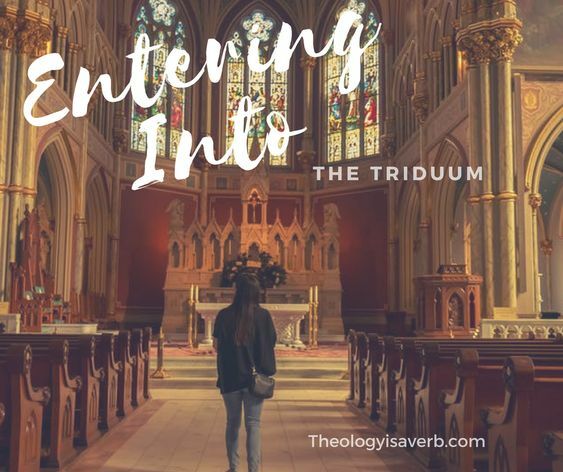 Please accept this gracious invitation to participate in the Triduum, from Holy Thursday, Good Friday to Easter Vigil. Am I merely walking through the motions of this Lenten season? Is my gaze so fixed on the Resurrection that I am failing to enter into the mystery of Christ’s Passion and death? This week of Lent we are led to with Christ and his disciples down a path of growing awareness, one in which each is contributing towards something fully unknown and yet momentous. Perhaps our familiarity with the story deafens us to truly hearing the significance of the words and numbs us to the fear, anxiety and profound pain at what is to come. Yet, this week we are summoned to do just this. We are to allow ourselves to be immersed in the details, to become a part of the scene, and to experience the depth of the Passion-ate love God has for each of us. As we make our own preparations this week, we are invited to sit too at table with Jesus at the home of his friend Lazarus in Bethany (John 12: 1-11). As you look around the room, would you be helping Mary in the kitchen in preparing the food for all the guests that had come? Perhaps serving or greeting each so that all feel included? While part of you longs to truly enjoy the company of Jesus you also recognize that your gift of service is the way you have chosen to show your love for him. Or possibly you would have chosen to carry that immensely extravagant gift of aromatic oil to anoint the feet of Jesus? Oh, the fragrant almost intoxicating smell that suddenly fills the room! Yes, there are drying cloths to be found somewhere, and yet the closeness of his love compels the use of the soft silky strands of your own hair. “There is honestly no place I had rather be, and here there is only You- the one who has captured and transformed my inmost being”. Maybe you are feeling a bit like Judas, uneasy at all the attention that Jesus is drawing? Why can’t we do all of this in private? Do we need to display our faith for all those that do not even believe..that appear to be here simply due to the newsworthiness of it all? This money we are frivolously spending to feed and entertain this gathering is that which we will need to flee when all of this comes to its inevitable end. How fickle my heart, oh the weakness I show. Why can’t I grasp the importance Jesus is calling to this moment and partake in the richness of the aroma that marks a time I will never have again? Or perchance you have arrived at this place purely out of curiosity, one of the many wanting to hear the rabbi and teacher so many have spoken of. What of Lazarus, was he really once dead and if so what does he have to say of that time? Seeing the devotion of those around Jesus you wonder what draws them close, endearing them to leave behind all to follow. Beckoned in, you take a step closer, but still are unsure if you are willing to surrender all that you’ve known- to commit to that which is far greater than yourself. You say let it go. Yet, if you did, who would you become? As we too enter the holiest of weeks, we are asked to pay attention to the sights, sounds and inner callings of our hearts. Amidst the business of preparations, we are asked to see the love in our gift of service and also take the time to sit at the feet of Jesus even if for a moment. To proclaim our faith in an unbelieving world, knowing that though this life ends there is something much greater that is to come. Not merely standing at the water’s edge we are being asked to plunge deep in committing ourselves fully the life of a disciple. This is the invitation. Come join me as I seek to walk the way of the cross and joyously anticipate the sight of the empty tomb! God’s blessings for a beautiful awe inspiring Holy Week! I was beginning to wish I had given up chocolate for Lent. Nonetheless, the overachiever that I long to be decided to go for a more challenging endeavor. Couple that with a healthy dose of Catholic guilt and you have the perfect storm. What is it you may ask that is vexing this Lenten pilgrim so? An ingrained sneaky habit of gripe and honesty. How did I become a new master at the subtle art of complaint and disclosure? For it seems that I no longer could leave unattended the age old rhetorical question, “How are things going?” with a simple “Good and you?”. And let’s be honest, this is the response the majority of people who ask the question are looking for. This socially accepted elementary exchange of greetings had become, for me, a unexpected conversation of all that was on my plate that day. Yet, am I suggesting that lying is a better option? No, but that is the excuse that led me down this path in the first place. One that, if indulged, can cloud our perception to all of the blessings we have been given and to the grace that awaits in the struggle. And it isn’t that life is going poorly for me at all. My day is often busy and full, true, but would I really want it any other way? Not at all, but I had begun to bear my gifts and invitations to grow as if they were burdens. Not once but 3 times, last week, God sent reassurance. Through scripture, the unknowing words of a friend and then a priest his message came through loud and clear. “Stop being so hard on yourself! You act as if you are alone and unloved.” Failure doesn’t come from not achieving our goals the first time, but rather success is found in falling and getting back up again. Just take a glance at Peter- apostle, saint and martyr who publicly denied Christ three times. God not only forgave him, but offered him the opportunity to profess his renewed faith three times in return. So it is with God and our walk as well. We are a people intended to be continually renewed and reconstructed to his image and purpose. And as the greatest human resource manager ever, God places us in one another’s lives to provide encouragement, and to strengthen us for the journey. That is when his answer to my dilemma came to me. She was visibly tired and worn. New expectations at work, long hours and demands at home had taken its toll. We spoke briefly and it became apparent that each of us was in need of a companion, and a purpose to help this Lent. The idea of a prayer promise, a commitment that when things got overwhelming or we began to slip this Lent we don’t just pray for ourselves but for the other. It is a positive way to take the challenge and invitation to grow closer to Christ and place it exactly where it is meant to be- in community. 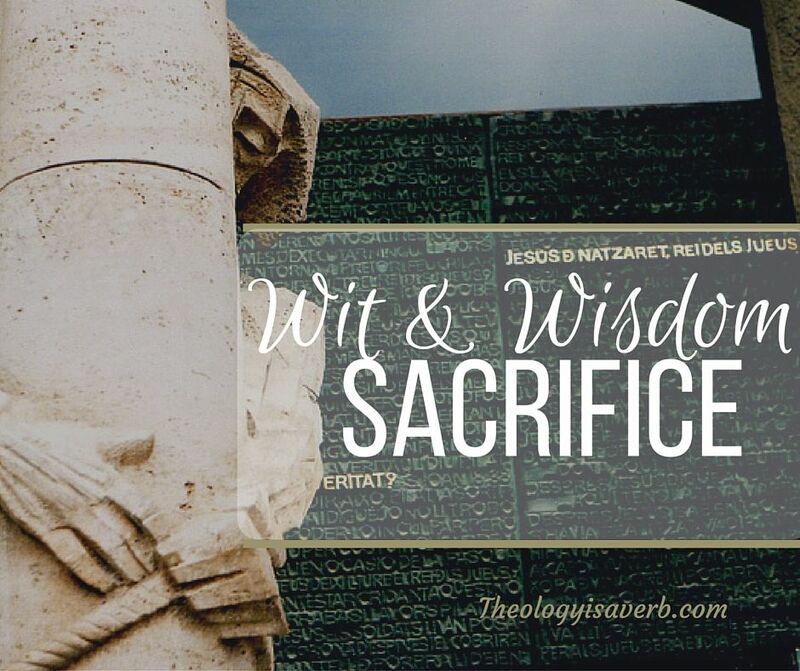 With Lent, the word sacrifice frequently looms and weighs upon our hearts as something undesired or sought after and yet something we are being asked to pursue. Could it be that we are working with a poor understanding of the rich true meaning of what it is to sacrifice? First as Christ has shown, and St. Paul reiterates, a sacrifice isn’t static or dead. In fact, rather than as an action performed it is more of a state of being. We are to be a ‘living sacrifice’, a testament to the continual love we have come to know as followers of Christ. So, then we are brought to the heart of the matter. Sacrifice flows out of love. One cannot truly offer sacrifice without having experienced love otherwise it becomes a complaint ridden, shallow and inadequate substitute. It also entails giving of ourselves at a cost- from our need rather than our surplus. Just like the widow’s might, this is what it is to give and witness love. 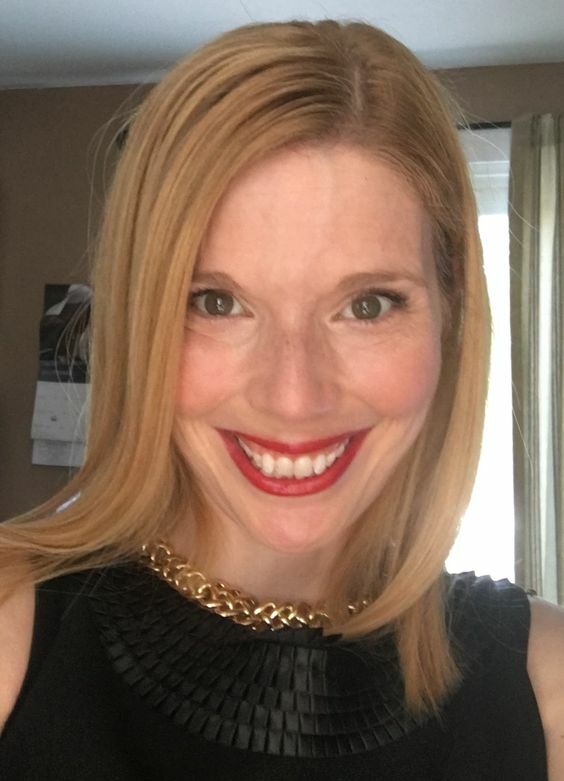 As a young mom, I remember the countless sleepless nights- of feedings and changings, of fevers and nightmares, as well as, the meager availability of sleep and time. Yet, I cannot imagine making any other choice, than to give all that I am for the life and welfare of this great love entrusted to me. Sacrifice then also carries with it gratitude and responsibility. It is a graced notion of incorporation, for the needs of others can then remarkably become our own. This Lent, take a moment to think of the profoundly beautiful invitation to sacrifice, to be a living witness to the love of a Father, the gift of the Son and of the Spirit’s renewal of hearts and lives. 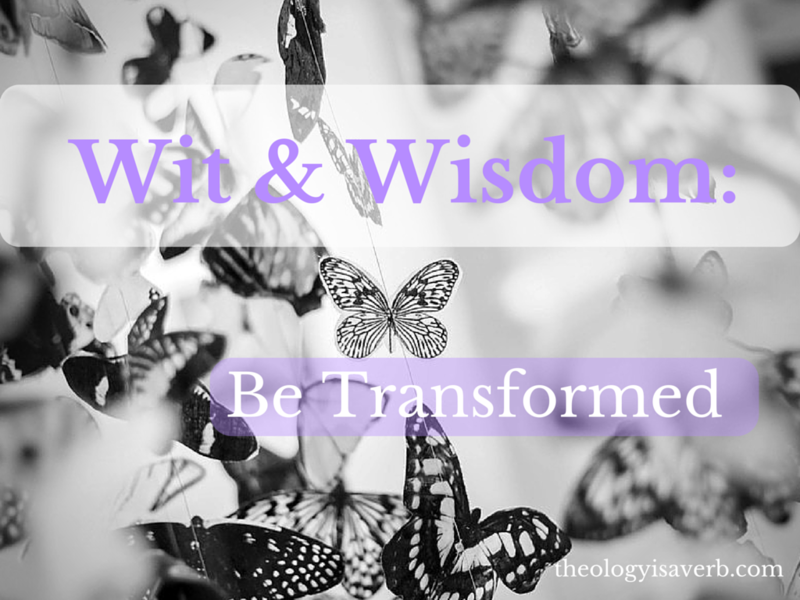 Am I seeking to be transformed this Lent? Is my sacrifice deep and life affirming? If not, what might God be asking me to do differently? “If we love each other enough, we will bear with each other’s faults and burdens. Fair to say that when we remove the unnecessary, that we are more prone to notice the essential. So too, it is in this intentional, purposeful consecration of time and space during Lent, that God’s voice can be so clear. 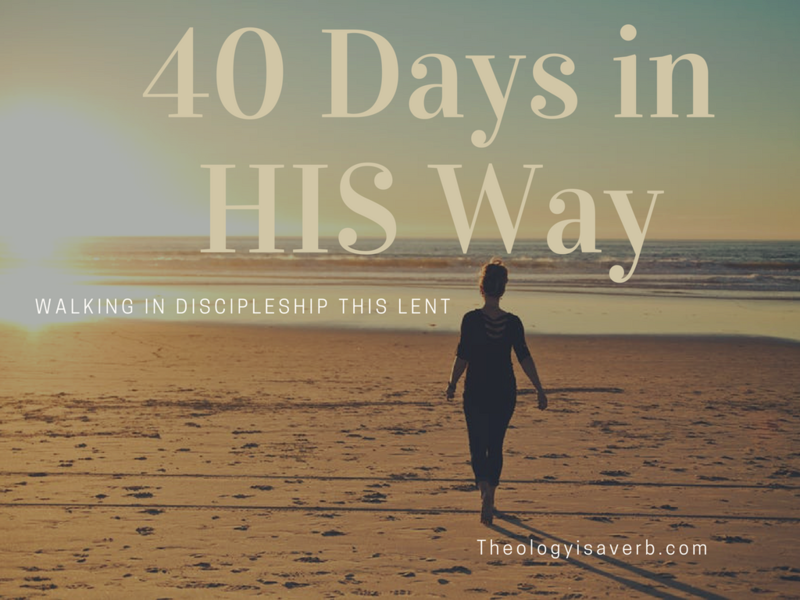 Still, as we do not live in isolation, there remains a number of unavoidable interactions and temptations that inevitably seek to pull us away from our Lenten promises. And, I would be remiss not to call it for what it truly is-the devil at work. For, the closer we seek to walk with Christ the more determined Satan is to pull out all the stops. Oh how prideful we can be to ever think we could accomplish any virtue on our own! What an open door these hard lessons can be for Satan to enter in with reminders of failure, guilt, suspicion and exhaustion. This voice can be so deafening that we might tend to forget that we are not alone on our Lenten journey. Or that in following Christ, we too would be tempted to abandon our faith and challenged to choose God’s ways over the world’s. This Lent has proven not unusual in this constant barrage of testing and time of trial. Though, what has been remarkable is that God has given me the awareness to see it plainly. In disengaging from conflict, giving voice to the struggle, and going to prayer I can see my part and that of others. Regardless, however, there will always be moments missed or inadequately handled. And this is where God’s faithful love never ceases to amaze me. In the upturned days of confusion and uncertainty , are the often missed reminders of his promises. In striking out on our own we may think it is too late to ask for guidance or call out for help. Yet, God is merely waiting for us to call on Him. Here in our experience of frustration and loss, He meets us with intimate notes replete with love, mercy and peace. In just a few words, and in just a mere motion of the heart much is conveyed. If but aware, the answer sought in prayer finds its homecoming in the most surprising ways. Perhaps through a scripture passage, a conversation, a song, or creation’s beauty we glimpse God’s love laid bare for all to see. And still, we know that these Lenten love annotations are indeed intended just for us. 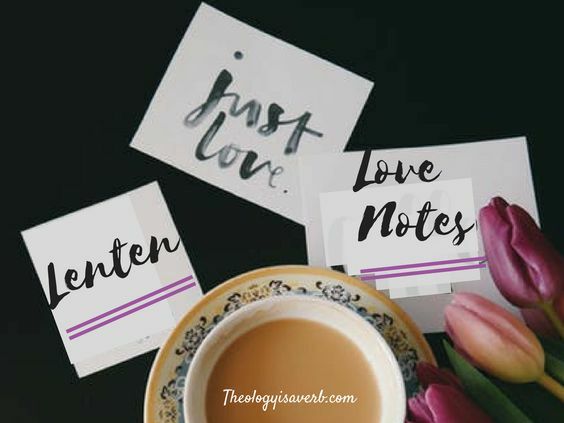 Take a moment to write down on one side of a piece of paper the challenges you have encountered this Lent. Then on the other side, make a list of God’s promises, or answers to these challenges also experienced. Be creative in seeing God’s love spoken to you in these times of trial and testing. Arise, shine, for your light has come, and the glory of the Lord has risen upon you. A purple sky gradually taking on the coral, rose and gold tones of the break of day, what a spectacular sight to behold. Since I was quite small, I have cherished the soft warmth of a sleepy awakening nestled under the protective covers of a new morning. It is where the day before has been put to bed and the new day awaits to be discovered. Hushed stirrings of hope and a renewed resolution to seek a will other than my own. Where my heavenly Father has my undivided attention, and discernment takes shape in the freedom to surrender any preconceived notions of completeness. And while it may be so tempting to remain where we are, undisturbed by the demands of others, our Father calls us onward constantly to a graced life of encounter. Eyes opened to see Christ in one another and hearts prepared to experience the deep contrition for our failure to love. Here, we are called to live out our discipleship not cloistered away but in the very midst of community. Where knees are made firm, hearts rended and hands strengthened for the work ahead. In these moments Father, you are lovingly and continually recreating me. “And pray in the Spirit on all occasions… be alert and always keep on praying for all the Lord’s people.” Prayer is a light that reveals, and directs that without it we are truly without a compass in our desire for change. Using this time set apart to pray is likewise an opportunity to reconnect with God. Who, in the hustle and bustle of life may not be our closest companion in our journey. Why fast? Scripture has a lot to say about the practice of fasting and the benefits of doing so. First of all, it expresses a desire on our part to offer sacrifice and penance for wrongs committed. Yet, it is also proven to be a quickening agent to prayer, providing the perspective to see God’s direction and will. And if done with also an awareness of community, it can lead to the directed efforts to offer the allocated money for food to others who may be in greater need. 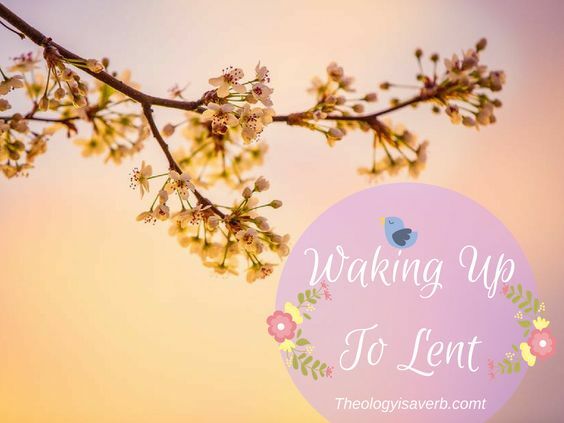 Is there a need in my life to wake up this Lent? Where might God be calling me to grow or serve? In reading the passages from Luke today on the way of the cross and crucifixion of Jesus, (Lk 23: 26-49) I was struck with gratitude for the thief on the cross beside Christ. Mocked, insulted and shamed- Jesus endured not only the painful, sorrowful physical pain of the cross but rejection of the people that he loved and came to save. There were those like Simeon, Veronica and of course his mother Mary who were present along the way of the cross to offer strength, tenderness, and comfort. 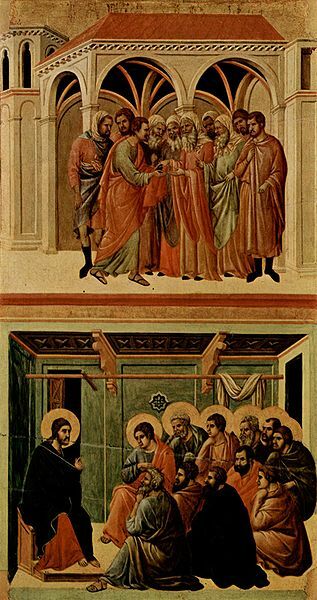 Yet, it was the unexpected conversion of the thief that was there beside Christ in those last moments. His witness of faith is to me a gift to our Savior, a beautiful reminder of the redeeming potential of mankind. Over the years, I have heard many scoff at the thief on the cross, as I am sure they would have done in his day. “So sad to see how his life turned out, he was brought up in the faith you know. I heard he asked the priest to come at the end…guess that is between him and God.” Yes, and still this holds true for each and every one of us. One glimpse at the story at the woman to be stoned and the heaviness of the stone in our hands, the weight of our sins, should remind us of the profound unmerited gift of salvation. So what differentiated the thief on the cross and the other criminal hanging there? Awareness and Repentance. Wait..there was still hope? Was it truly possible to trade the consequences for his decisions, the weight of his shame for a place in God’s kingdom that very day? And, “He replied to him, ‘Amen, I say to you, today you will be with me in Paradise.’”(Lk 23:43) The beauty of Christ’s victory over death reminds us of the ever present reality of the eternal promise of life. Yet, as God’s divine love and mercy are always more than we could ever conceive, gratefully we are reminded that God has yet to give up on any of us. 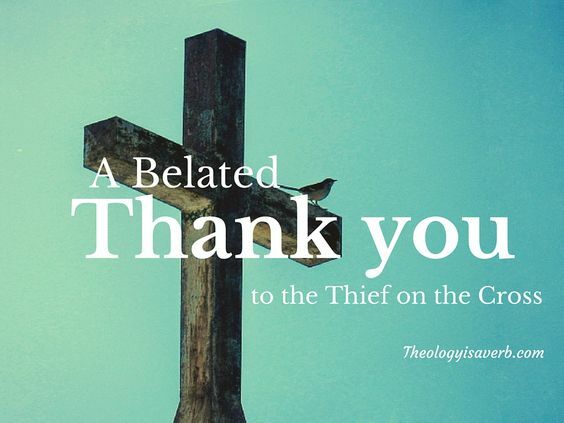 So, to the thief on the cross I would like to say thank you. Written a year ago.. and while a few things have changed, this Lenten challenge to walk in His way ever remains the same! Working in ministry, liturgical seasons just simply move way too fast. It seems like yesterday Advent was on our doorstep and now we are over halfway through Lent. Our 24 week bible study with Jeff Cavins is drawing to a close and small group Lenten study has already begun. We have a food pantry drive and collection over the next 2 weeks, and a Collaborative Lenten service event for End Hunger where volunteers meet to package simple, nutritious meals for those in need within the New England area. Not to mention, as new collaborative (2 parishes now working together) there is evangelistic and leadership training, council and liturgy meetings, and the gathering of individuals to write a new pastoral plan. We are most certainly a collaborative on the move! In fact, several of the leadership team are flying out today to be a part of the Amazing Parish Conference in Atlanta. In the midst of all these incredible community blessings, I have been trying to take the time myself to rediscover all the ways God is calling me personally to conversion and transformation. This year’s Lent for me has been all about trust. Why trust? Well, with so many balls in the air, including seeking the sale of our home, I have needed to go deeper than a mere lip service of saying I trust God. Over and over again these past few weeks I have had to let go of timelines, expectations and results. Not an easy task when you are detail oriented by nature. Yet, what I have noticed is that when I am truly keeping my eyes focused on Christ, all the rest fades away into the background. One service project that has surfaced for me this Lent is the 40 bags/boxes in 40 days challenge of de-cluttering for simplicity and charity.Perfect timing as my family prepares to potentially move out of our home of 20 years. So many things we have not used over the years that could be of use to someone else. Why do we accumulate stuff and hold on to things that we honestly do not need anymore? Sentimentality, and security? With every bag or box packed, however, my family is gaining valuable space and awareness of the way that clutter can occupy our lives. In our culture of accumulation I can honesty say we could do with “Less” in order to appreciate what it is that we”Need”. We need space in our days and our homes that only God can fill. Take time today to see what is filling your day, your home, and occupies your time. Is there room for growth, and space for need? This Lent we are asked to engage in a transformation, a continual conversion of heart. To do so, however, we must become vulnerable- recognizing and forgoing our attachment to sins, habits, and impediments to change. Then we are better able, as Richard Rohr, OFM would say, to “get out of the way enough” as to be influenced by God’s will for our lives. The grandest works of prayer, fasting, and almsgiving are worth little if done without an inner turning to God. Likewise, once we experience the profound love and mercy for our repentance and take on a “radical reorientation of our whole life”(1431 CCC) it is very difficult for this transformation not to overflow. For, all those we encounter- our families, co-workers, neighbors, and even strangers can then be witnesses to God’s love in our lives. 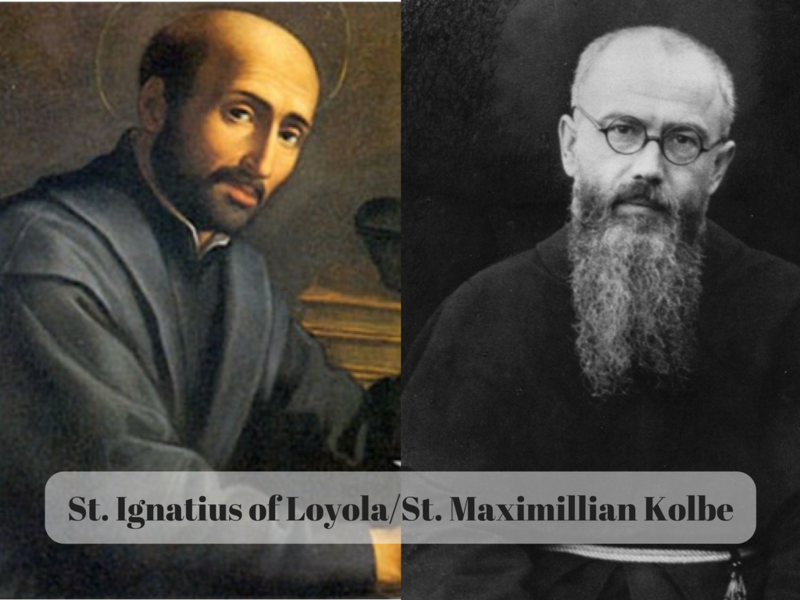 Take a moment today to consider what this transformation in Christ might look like, by listening to the saints and soon-to-be saints in their walk of discipleship.